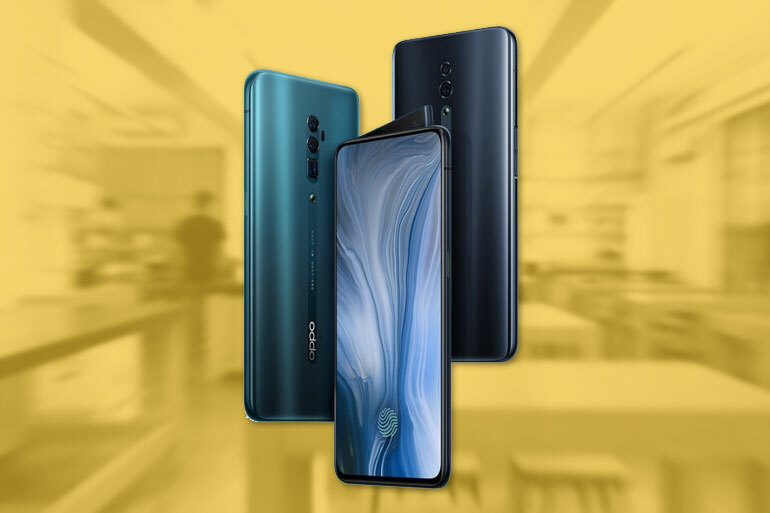 OPPO recently announced the OPPO Reno and their newest flagship, the OPPO Reno 10x Zoom, in Beijing, China. OPPO once again hits for innovation as the two new phones have somewhat of a different, if not weird, feature — a pop-up wedge selfie camera. The OPPO Reno 10x Zoom edition will be this year’s flagship. It features a 13MP periscope camera with up to 10x zoom. The rest of its cameras include a 48MP main shooter with an f/1.7 lens and an 8MP wide-angle with f/2.2 lens. The Reno 10x Zoom main feature is its pop-up wedge camera module that houses a 16MP f/2.0 selfie shooter with a wide angle view. This new “innovation” is a different take on pop-up cameras and will surely be a “like it or hate it” feature. The handset comes with a 6.6-inch AMOLED display with an in-display fingerprint scanner and no notch. Under the hood, there’s an octa-core Qualcomm Snapdragon 855 processor with 6/8GB RAM, up to 256GB of storage, and a 4065mAh battery with VOOC 3.0 support. The OPPO Reno 10x Zoom is priced at CNY 3,999 (~PHP 30,900) for the 6/128GB variant, CNY 4,499 (~PHP 34,800) for the 6/256GB, and CNY 4,799 (~PHP 37,100) for the 8/256GB model. OPPO also announced a midrange OPPO Reno. This one comes with a 6.4-inch full HD AMOLED display, an in-display fingerprint scanner, an octa-core Qualcomm Snapdragon 710 processor, 6/8GB RAM, 128/256GB storage, and a 3765mAh battery with VOOC 3.0. It also sports the same pop-up wedge camera with 16MP selfie shooter, and at the back a dual camera system of 48MP f/1.7 + 5MP depth. The OPPO Reno is priced at CNY 2,999 (~PHP 23,000) for the 6/128GB variant, CNY 3,299 (~PHP 25,500) for the 6/256GB, and CNY 3,599 (~PHP 27,800) for the 8/256GB. 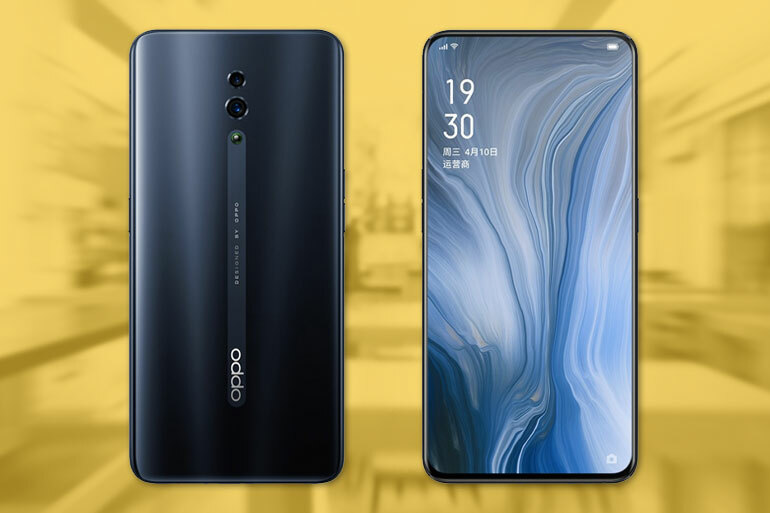 The OPPO Reno will first be available in China starting April 19, while the Reno 10x Zoom will come out sometime May. The handsets will launch globally on April 24, 2019.